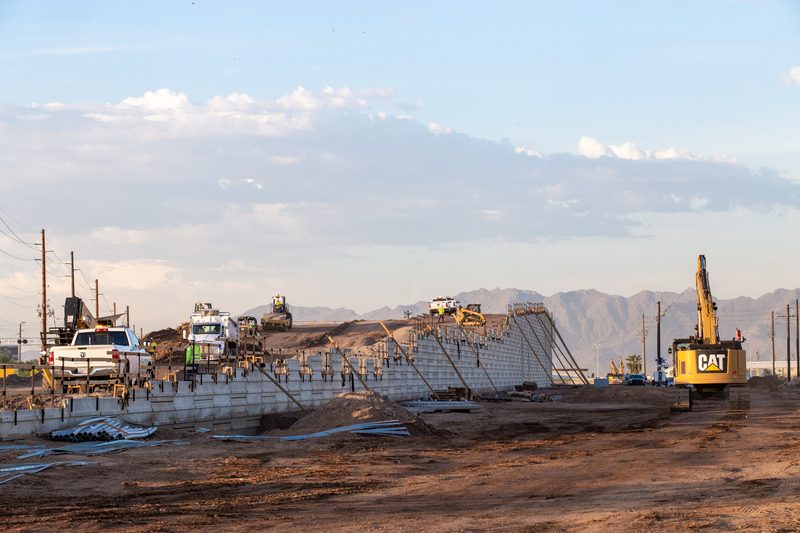 PHOENIX – Getting a decision on a construction permit under Section 404 of the Clean Water Act takes longer in Arizona than in any other Southwestern state, a new study found. And that delay can drive up costs for consumers and taxpayers, one of the authors says. The University of California-Irvine study looked at 404 permits for projects submitted in Arizona, California, Colorado, New Mexico, Nevada, Texas and Utah. “Identifying ways to hasten permitting processes without compromising environmental rigor is important for enabling efficient and effective infrastructure regulation,” the study said. The results where a bit of a surprise to co-author Nícola Ulibarrí. “I would have expected California would have been the slowest state because California has a lot more environmental regulations,” she said. However, a project in Arizona takes about 67 percent longer to receive a permit decision from the Corps of Engineers, which processes the permit before it’s approved or declined by the EPA. Ulibarrí said the difference was a mystery, even though her study accounted for type of project, population density and income. The Army Corps of Engineers declined to comment “on studies where USACE has not been involved in the study process,” a spokesperson said in an email. Ulibarrí said that, although regulations are important to protect human health and the environment, long wait times increase costs for businesses and taxpayers. “If they are driving on roads or are drinking water or are buying into a new housing development, all of those things take 404 permits, so if it takes longer to permit the process, then that’s going to drive up the overall cost of the project,” she said. There are changes coming to the 404 system. In 2017, the Arizona Legislature passed a bill that would transfer permitting for dredge and fill operations from the Corps of Engineers to the Arizona Department of Environmental Quality. AZDEQ is conducting stakeholder meetings and expects to submit its full implementation plan to the EPA by May 2020.